"Carlos Queiroz has signed a contract with the Iranian football federation to coach 'Team Melli' up to the end of the 2014 World Cup in Brazil," ISNA said, without giving any financial details of the deal. 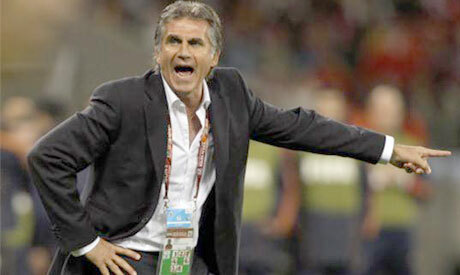 ISNA quoted Queiroz as saying: "I am here in Iran to help the team make it to the 2014 World Cup. This is my most important aim and I hope with everyone's help we can make it." Queiroz takes over from Tehran-born US national Afshin Ghotbi, whose contract was not renewed after Iran were knocked out of the 2011 Asian Cup by South Korea. The 57-year-old former Manchester United assistant boss was most recently coach of Portugal, whom he took to the 2010 World Cup in South Africa. He was sacked from that role in September 2010 after a disciplinary feud sparked by a six-month ban for insulting officials from the country's anti-doping body. Iran begin their long quest for a fourth World Cup after appearances in 1978, 1998—when they memorably beat the United States 2-1—and in 2006, when they play the Maldives in their opening qualifier on Wednesday.